Rob Stewart used to say that the only people afraid of sharks are people who have never swam with sharks. Diving with sharks is not only a life-changing experience, but it’s also a direct investment in conservation. A healthy shark tourism industry provides incentives for locals and governments to protect sharks. In many places, shark tourism has overtaken fishing as the primary source of income for locals. 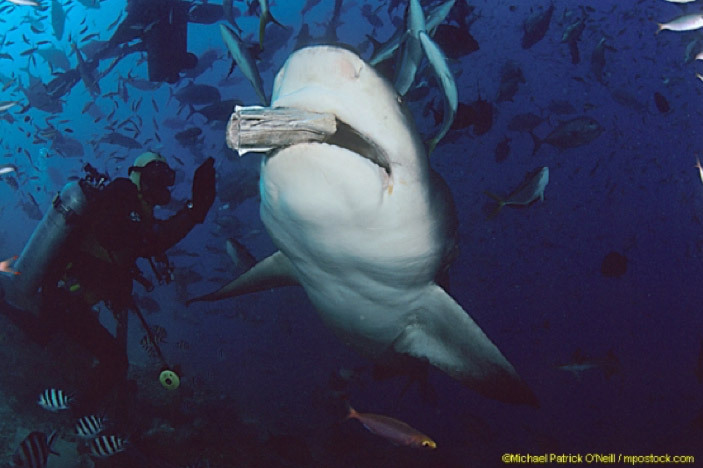 There are many places around the world to explore and dive with sharks. The list below, in no particular order, highlights some of the best places to see the top predators on Earth in their natural habitat. 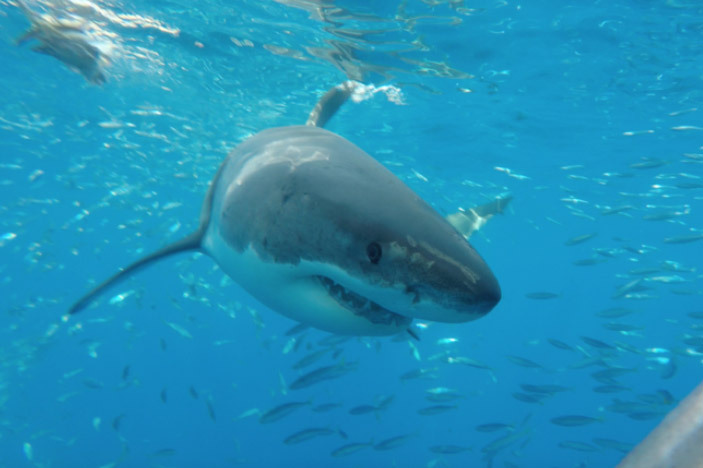 South Africa is a hotspot for spotting great white sharks. 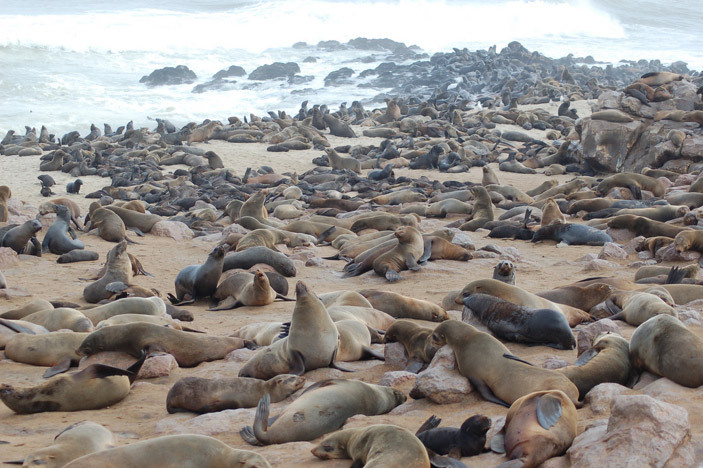 This is where the Atlantic and Indian Oceans and it has a huge population of Cape fur seals, which attract Great White Sharks. Because of this, the country has become one of the best place for cage diving. Besides Gansbaai, tourists can visit False Bay and Mossel Bay to spot the ocean’s top predator. Other sharks common in this area are bull sharks, tiger sharks, whale sharks, and ragged-tooth sharks. The Galapagos Islands, 1,000 kilometers off the coast of Ecuador, are a great place to visit for all animal lovers. 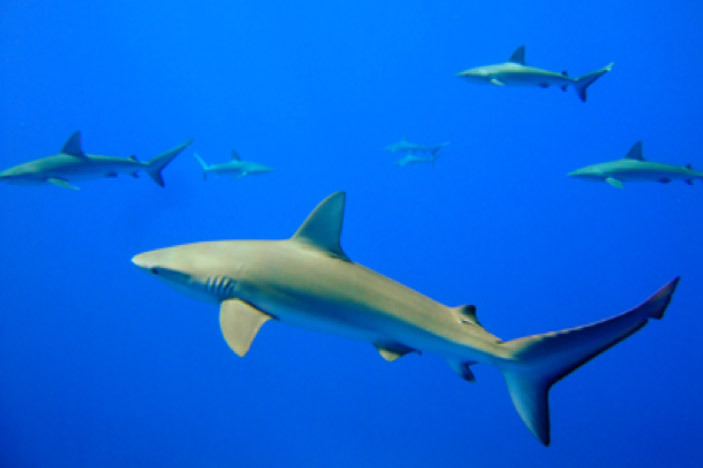 But the warm currents of the Eastern Central Pacific ocean make it an ideal place for diving with sharks. 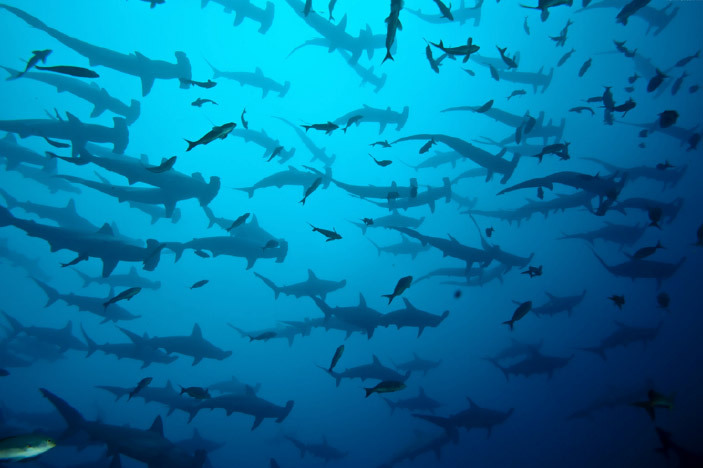 The coasts of the Galapagos has many species divers can encounter, such as the scalloped hammerheads, Galapagos sharks, whitecap reef sharks, blacktop and grey reef sharks. Galapagos sharks, NOAA Photo by Mark Manuel. Just like Galapagos Islands, Cocos Island’s warm waters attract a huge volume of marine wildlife. Unfortunately, this has attracted illegal fisheries and shark finning has became common. Currently there are efforts to protect the sharks of the region, but it’s likely that shark finning is still ongoing. Despite this, Cocos is a prime destination for shark diving. Whale sharks, the ocean’s largest fish, can be spotted in Cocos Island all year-round. Whitetip sharks, huge groups of scalloped hammerheads, and tiger sharks, are just some of the sharks that can be seen in this island. Scalloped Hammerheads at Cocos Island. Picture by John Voo. Bahamas is a shark paradise. All sharks are fully protected in the country and their abundance has turned the Bahamas into a must-see ecotourism destination. One of their best spots is Tiger Beach. 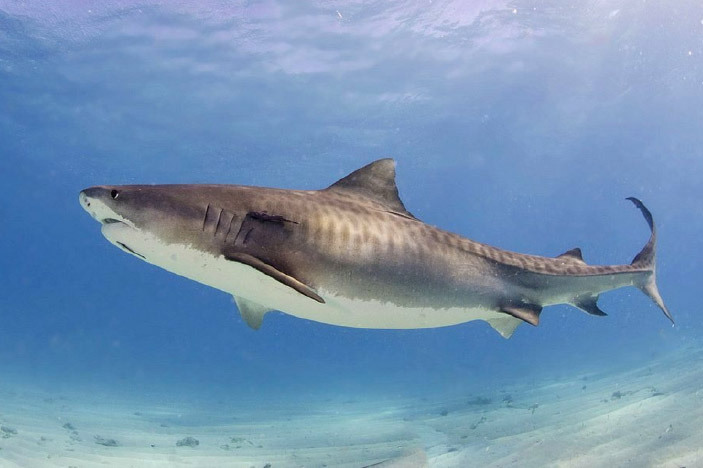 Just like its name suggests, tiger sharks are common here, but they are not the only species in the area. Sharks such as lemon sharks, Caribbean reef sharks, nurse sharks, hammerheads are just a few of the many sharks that can be found in Bahamas. 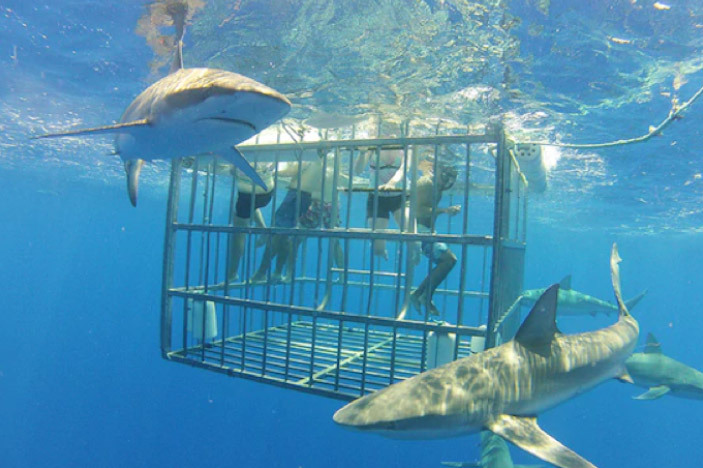 Oahu is the best destination for cage diving in the United States. Large galapagos sharks are very common, and on a good day you can also spot hammerheads and tiger sharks. Divers looking to spot rare shark can look no further than Malapascua. 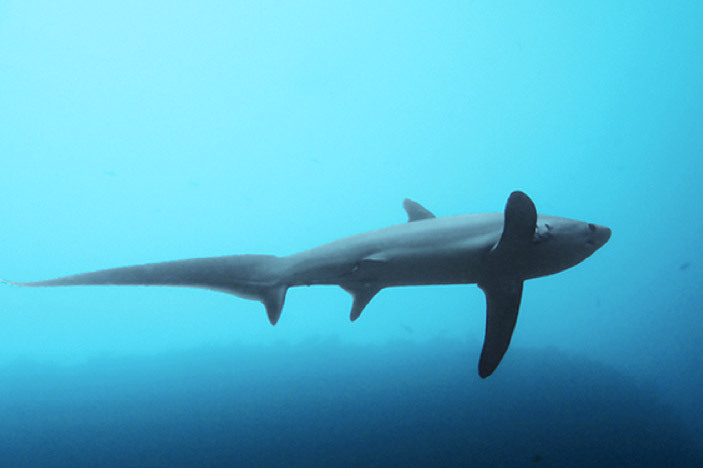 The rare pelagic thresher shark is home to the Malapascua Island, and divers can get a chance to see these sharks jump 20 feet out of the water! Belize is the best place to see sharks in the Caribbean. It is home to many sharks such as the black tip shark, bull shark, lemon shark, nurse shark, reef shark, hammerheads and migrating whale sharks are often spotted. 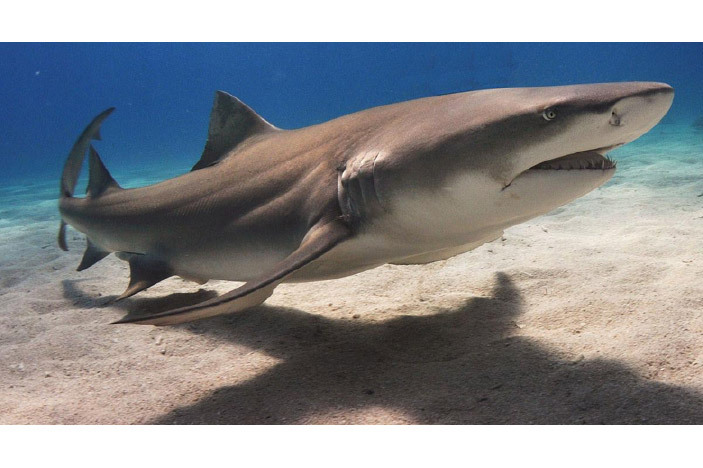 The most commonly found shark near Palencia is the lemon shark. Fiji is home to beautiful corals and abundant marine life. It is the soft coral capital of the world and has over 20 diving sites. 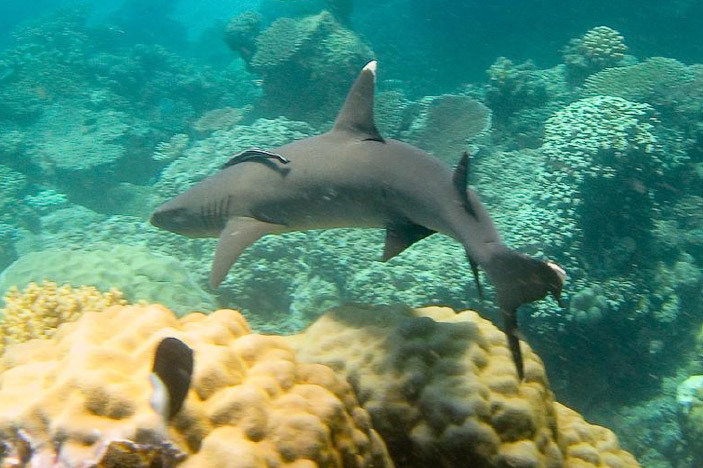 Shark diving in Fiji allows divers to spot black tip reef sharks, whitecap reef sharks, grey reef sharks, silvertip sharks, tawny nurse sharks, sicklefin lemon sharks, bull sharks and sometimes even tiger sharks! Additionally a number of ray species can also be spotted off the coast of Fiji. Home to the Great Barrier Reef, Australia has quite the number of shark spotting for divers. Queensland is particularly rich in sharks. The state is home to over 50 species of shark. Some sharks include tiger sharks, grey reef sharks, silvertip sharks, wobbegongs and many more! The Guadalupe Island has become synonymous great white sharks. This island off the coast of Baja California is one of the most reliable places to see these magnificent predators The shark diving industry is booming in the region. Most divers dive in a cage, but more experienced and intrepid divers can dive without the cage! Great White Shark Photo Taken From A Cage. Picture by Horizon Charters.